Dragon City Egg Breaker is now live. 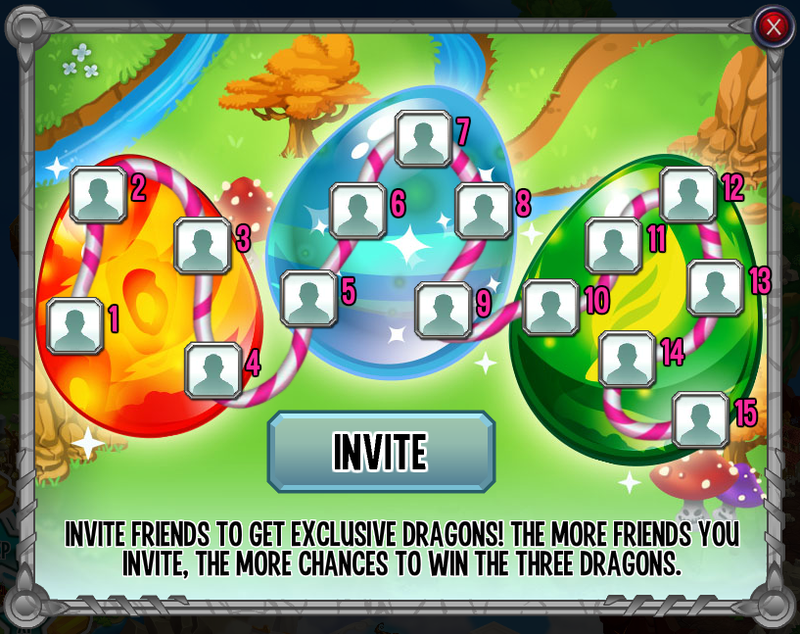 Invite Friends and get these exclusive dragons! I Hardly create 15 facebook account and there’s nothing in the egg Fvck! Most of them will not click the link we give and later find the game themself if they want to play. ….I have this dragons -_-…. How do we sell hatched dragons to others/buy them from others? I have so many duplicates, a few triples, etc. why can not I sell eggs from storage ? Hello DC Team, please delete this it doesn´t work. I am daily player this tournament make me angry. Sorry if I’m posting in the wrong spot but this isn’t the recruitment tavern quest, I am needing some help with the egg event (new dragons, like the recruitment tavern). All help would be much appreciated! Please add me if you have not already done so, as I am a daily gifter and player! It doesn’t work for me either. What do we do? every time I try to use it it pops of back to DC every time I click to invite but it only does it ounce.